China's financial regulators on Friday released a draft of new sweeping guidelines to tackle risks in the country's massive but sometimes problematic asset management market, as part of the country's broad effort to prevent systemic financial risks and restore the role of the financial sector in supporting the real economy. The draft comes after the recent formation of the State Council Financial Stability and Development Committee, a high-level government body charged with coordinating financial regulations. The guidelines prompted some concern in the asset management market and the wider financial sector over the weekend, as experts and market insiders predicted more coordinated and tougher regulations to come, and even a more profound shake-up. 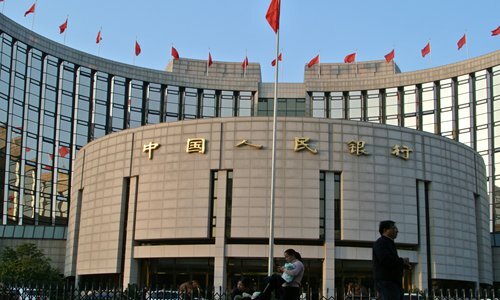 The new guidelines would cover all financial institutions engaging in asset management operations, including banks, trust funds and securities and insurance firms, barring them from setting up illegal capital pools, offering guaranteed principle repayment, adding excessive leverage on asset management products and other risky activities, according to a statement released by the People's Bank of China (PBC), China's central bank, on Friday. The draft was jointly released by the central bank along with the securities, banking, insurance and foreign exchange regulators. The agencies said in the statement that although the asset management business has grown fast in recent years and played a positive role in areas such as improving social financing structure, problems do exist, including regulatory loopholes and a lack of standards. With the guidelines, the agencies are trying to "consolidate regulatory standards for asset management products in the same category, promote the sound development of the asset management business and effectively prevent financial risks," the statement reads. The draft, which contains 29 guidelines, was released for public comments and there will be a transition period until June 30, 2019, for companies to comply with the new regulations. The new guidelines will cause short-term pain for asset managers, as they will lose "a great deal of business" due to the new regulations, said Dong Dengxin, director of the Finance and Securities Institute at Wuhan University of Science and Technology. "Companies will feel some short-term pain and the industry will face a major shake-up after the new guidelines are implemented," Dong told the Global Times on Sunday, adding that in the past few years the asset management market has taken on "huge scale as well as a pile of problems." At the end of 2016, the asset management products in China were worth about 102.1 trillion yuan ($15.41 trillion), according to the PBC. Some industry insiders said that a big chunk of those products would be barred by the new guidelines and, as a result, the market will shrink significantly. Some banks are currently investing, directly or indirectly, asset management money in other banks' credit assets, said an employee of a Chinese bank's asset management team, who spoke on condition of anonymity because he was not authorized to speak to the press. "After the guidelines are released, banks' asset management business will decline by a certain amount," the employee said on Sunday. "However, due to the long transition period, there won't be a serious shock for the banks." Another industry insider also said that the asset management products offered by banks and trust funds generally offer guaranteed principle repayment, and "all institutions are setting up or trying to set up capital pools." "So I feel that the new guidelines will weigh on the scale of the market but could promote the development of the asset management sector," the insider, who also spoke on condition of anonymity, told the Global Times on Sunday. But this could be the beginning of a more coordinated move and intensified regulations to reshape the country's financial sector, experts and industry insiders said. "This is a very important signal that, under the [State Council Financial Stability and Development Committee], there will be more coordination among the regulators and more tough regulations to prevent systemic risks," Dong said. The committee, which was announced during the National Financial Work Conference in July, was officially established on November 8 under the State Council, China's cabinet, and outranks all the regulatory agencies, said the Xinhua News Agency.